We were having family come visit us over the weekend. I love it when we have people over because that means our house is cleaned!! We are usually pretty messy and rarely have time to do any of the deep cleaning that needs to be done. So, the day before they came, I had to decide what would make the biggest impact. For some reason I decided that if I cleaned out the bottom of my closet, our house would be super clean. I think Mike gets annoyed with my cleaning plans, since I usually choose an area where no one will even see…. 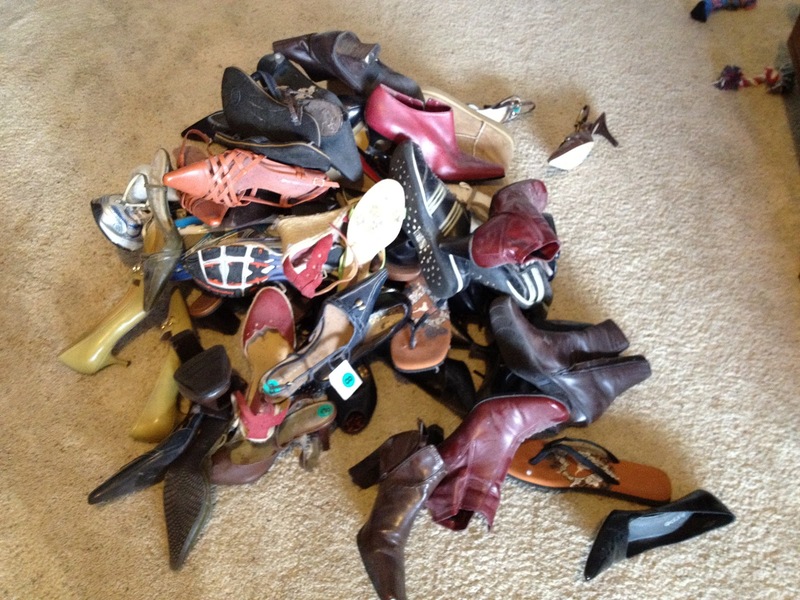 Getting rid of shoes is not as easy as it looks. 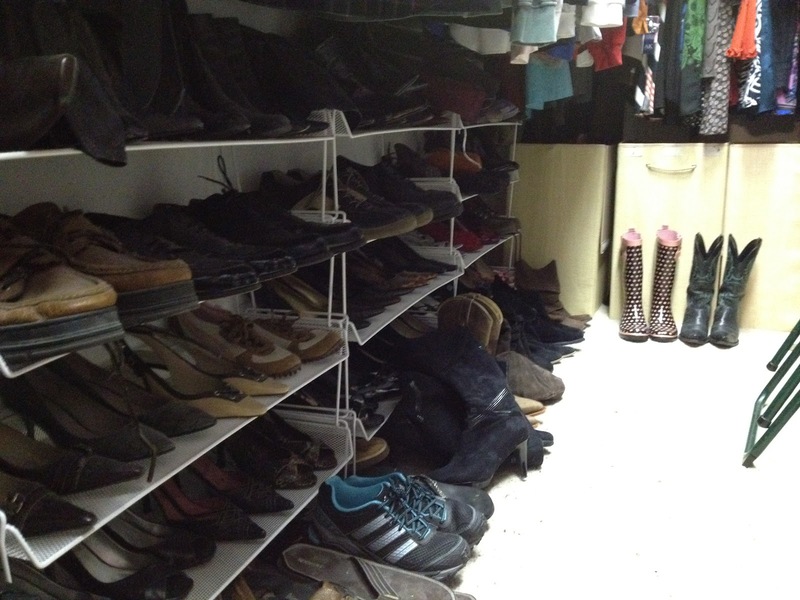 I think I got rid of more shoes than I kept. I really don’t ever wear most of these shoes, some of them still had the price tags on them, but I still had a hard time parting with them all. But now, I can see what I actually have in my closet. I think I may want to go shopping to get some new shoes now that I can see the bottom of my floor again!!! 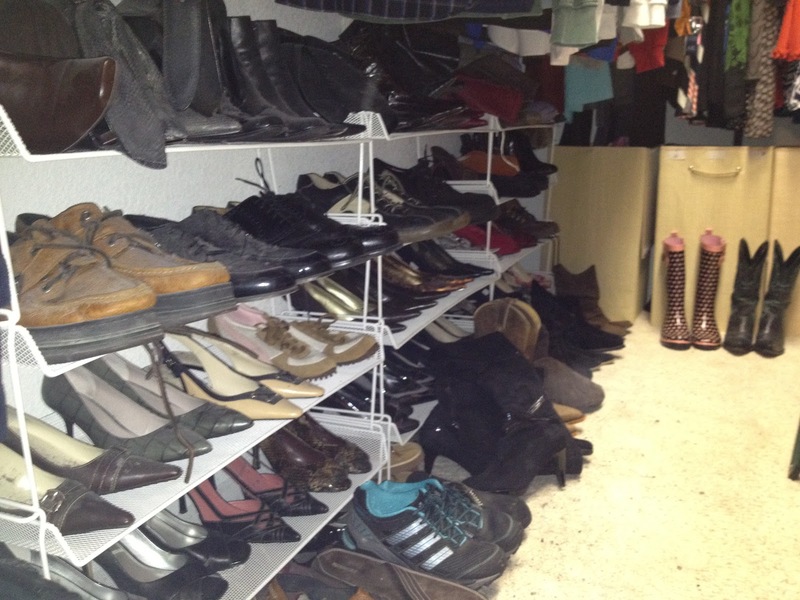 I love shoes! I still only have like 3 pair of shoes. 😦 I went to that place where you got the boots when you were here but they didn't really have any in my size. I did finally buy some non-maternity clothes. And I got some cute earrings! YEA!! I love new stuff!! !